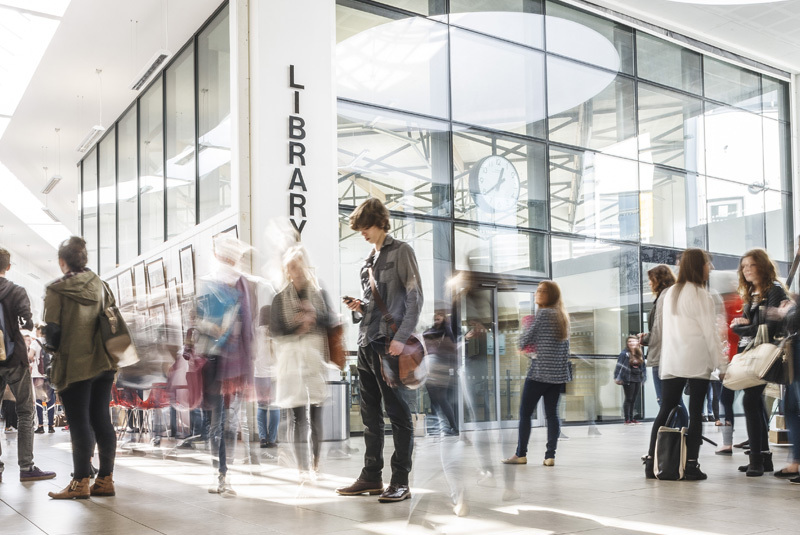 The College Library will be opening on Saturdays from Saturday 27th April as a quiet space to study and revise between 10am and 4pm. The Library will also open on the following Saturdays between 10am and 4pm. Any students working in the Library on these days will be required to wear their college lanyard at all times. The Wyke Media Department welcome Hull University academic Stuart Lilford to the college this week. Stuart, who lectures in Game Design, will be discussing issues of media regulation, censorship, age certification together with legal and ethical considerations in game development, to A level Media Studies students. Before taking up his post at Hull, Stuart worked for a number of prestigious companies, such as Rare and Codemasters. He also developed his own gaming titles. 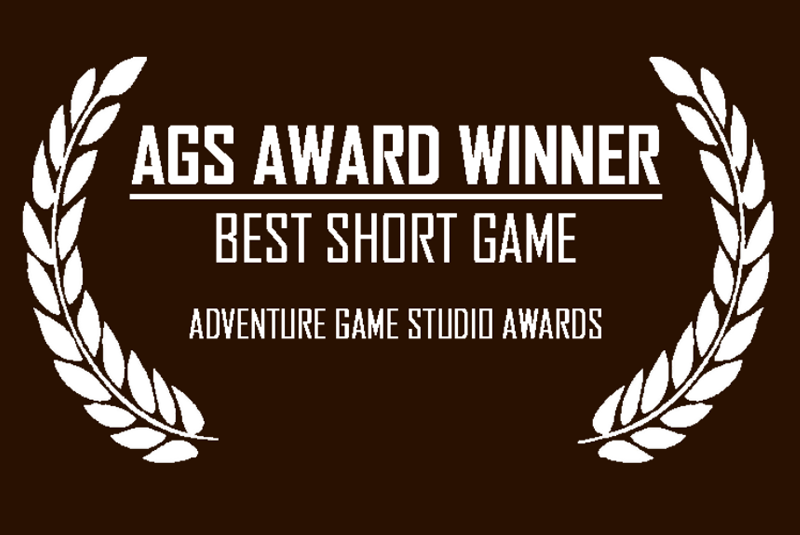 Time Stone, a point and click adventure game that won the 2013 Adventure Game Studio Award for Best Short Game, and Splodey Vaders, is a mobile game available on Android. Students with an interest in Computing, IT and Media attended a Digital Skills Conference in February, hosted by the University of Hull. Wyke students joined their peers from colleges across the Venn Partnership as part of an initiative organised by Wilberforce Sixth Form College. Ben Wallis, Wilberforce Vice-Principal, addressed the opening of the conference to an audience of 200 tech-savvy students. Ben highlighted the rapid pace of change that the digital industries had experienced and how Moore’s Law was continuing to accelerate. Both first and second year A level Film Studies students had the opportunity to step in front of the camera when they became “extras” at a feature film shoot. The title of the film is a closely guarded secret and students had to commit to a non-disclosure agreement with the film producers. This meant no mobiles on set and an agreement not to distribute material through social media. The film, a psychological thriller based around an enigmatic relationship, will be released in UK cinemas in 2019. Students spent the day at the KCOM stadium, the location of a flashback sequence, shooting the days rushes. Film Studies at Wyke is one of a family of courses that supports creative students. These include Media Studies, Creative Digital Media, Photography, Graphic Design and Performing Arts. Applications are now open for 2019 and interviews are currently beginning scheduled. To avoid disappointed, we recommend that students apply by February 2019. Whilst over 70% of students progress onto university when they leave Wyke, an increasing number are looking at the opportunities offered through Higher Apprenticeships. Many nationally recognised companies run these schemes that are targeted at recruiting future employees with A levels and level three BTEC qualifications. The most sort after programmes guide students to a sponsored place at university and a professionally recognised qualification. 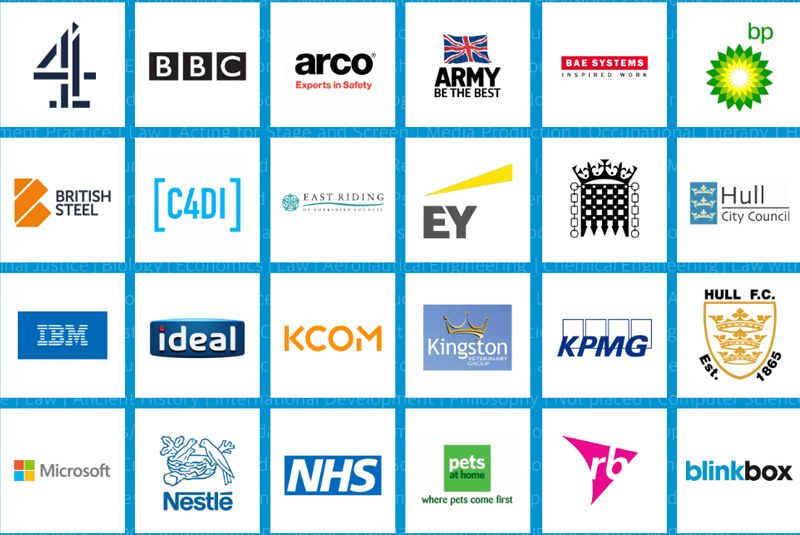 Wyke work in partnership with many employers across the region and understand the importance of making our students aware of the many different job roles and opportunities that are available. We want to help our students to understand that there are some great companies to work for and we are continually developing ways to engage with them. 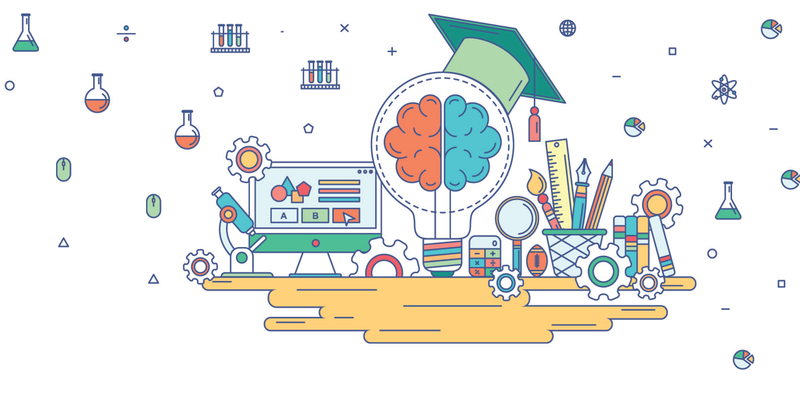 Employers face increasing demands to engage with education and there are many reasons why they want to get involved, the main one being to actually meet our students and realise that they may be talking to their future employee. We are continually building solid and long lasting relationships with our local employers and work with over 100 on a regular basis with activities such as work experience, employers coming into the college to give industry talks and also talk about their own career path, our students are given the chance to visit employers to be able to observe and understand what goes on. Below are some of the examples of our students having a taste for what the world of work is really like. G F Smith – Students were invited into G F Smith who are a paper product manufacturer and offer high end bespoke paper based products, the students were there for the full morning, to get a real feel for how each department works in their business and what they actually do on a day to day basis. A member of each department was on hand to talk to the students and explain their role in detail. M & W Construction – Students were invited to look around the construction site of the RB Centre for Scientific Excellence arranged by M & W Construction. They spoke to lots of different people throughout the morning who gave them real life stories of the job roles they carried out such as architect, civil engineer etc. The Centre will house a new industry-leading healthcare development facility and after visiting the centre, many of our students said they could see themselves in the future working in the laboratories. IT @ Spectrum – is a huge supporter of helping our students understand the nature of their business and how they can become part of their organisation. Tim Davison, Commercial Director, is very passionate about working with our students to inform them about their organisation and what they are looking for when they recruit their new employees. They offer work experience, but also encourage students to come to their facility and have a look around and ask questions about what they do. Students have attended a coffee morning with Tim for a general chat and at the end did say to students that this was their first interview! BAe Systems – also supports our students, not only with work experience, some of Wyke ex-students that are now apprentices with BAe Systems come in and talk to our student about what their role on the site. When student have completed work experience, they have to give a presentation to staff and parents about what they have been doing. KPMG – also encourages ex-students to share stories about their journey with the organisation and the many different job roles available. Students also attend sector specific events, such as the “hands on Health” day hosted by the Careers and Enterprise Company. Students that have an interest in working within the health sector took part in interactive activities from various health departments. The activities ranged from pathology, nursing to nuclear medicine and pharmacy. The aim of the event was to inspire students and find out about the different careers, some which they may not have previously considered. If you’ve recently streamed the latest Transformers movie you may have spotted a former Wyke student in the cast. 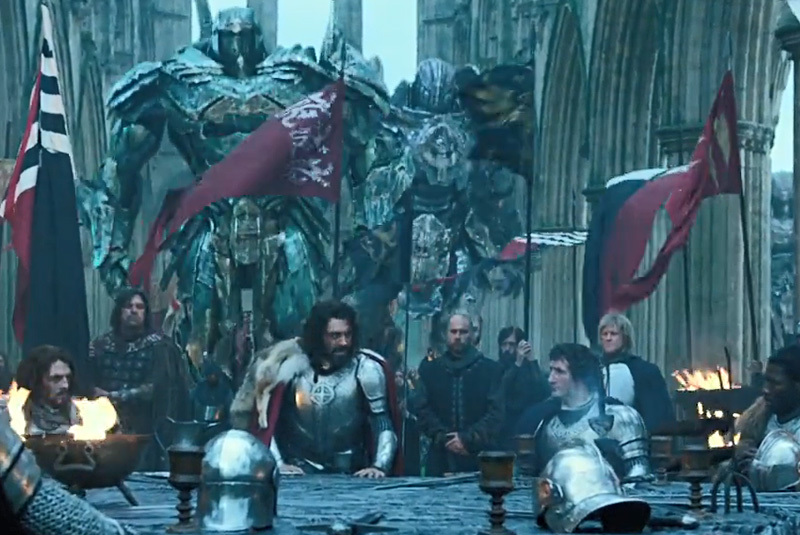 Liam Garrigan plays the role of the legendary King Arthur in a scene narrated by Anthony Hopkins in the latest instalment of the global sci-fi franchise “Transformers: The Last Knight”. After studying A level Theatre Studies, History and English Literature at Wyke, Liam attended the Guildhall School of Music and Drama. Soon after graduating from drama school Liam became a household name, playing the role of Nic Yorke in the BBC TV drama Holtby City. Since then he has appeared in a number of film, television and theatre productions in both the UK and USA. At present, the Drama department are in the early stages of this year’s cross-college production, “P T Barnum, the Greatest Showman”. For further information on the college’s outstanding drama and performing arts provision, visit Wyke at our up-coming open events. 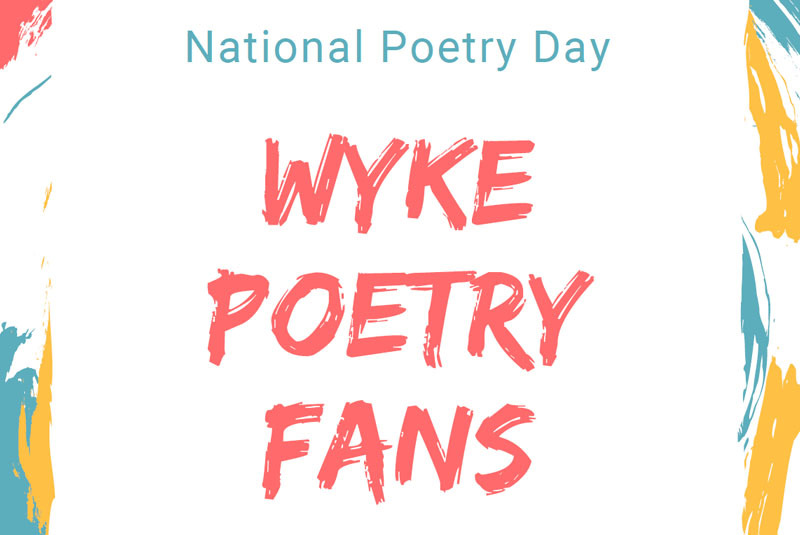 Students at Wyke will be celebrating National Poetry Day on the 4th October by hosting their own poetry reading in the Oak theatre. Jenny has also organised a poetry competition to coincide with National Poetry Day. It is open to all Wyke students and the brief is very open as the only restriction is length. The poems can be in any form but no longer than 45 lines. For added interest and independence, Jenny has invited Hull’s premier rap artist Chiedu Oraka to judge the entries. National Poetry Day is an annual celebration that inspires people throughout the UK to enjoy, discover and share poems. Founded in 1994 by the charity Forward Arts Foundation, the mission is to celebrate excellence in poetry and increase its audience. The celebration day enjoys the support of the BBC, Arts Council England, the Royal Mail and of course Wyke Sixth Form College. 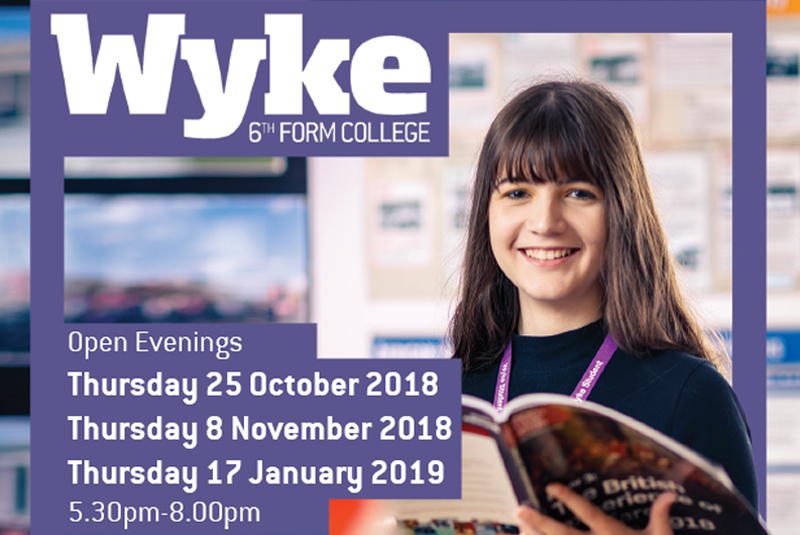 Wyke is a true Sixth Form College, and we are dedicated to ensuring our students achieve the best of their potential whilst getting the most out of their time with us. Our open events are the perfect way to get to know the college and find out what we have to offer. They are designed to help you make an informed decision about what to do once you leave school. Discover what college life is like from our current students. There’s no need to book, just come along on the day. You can come on your own or bring friends and family along. 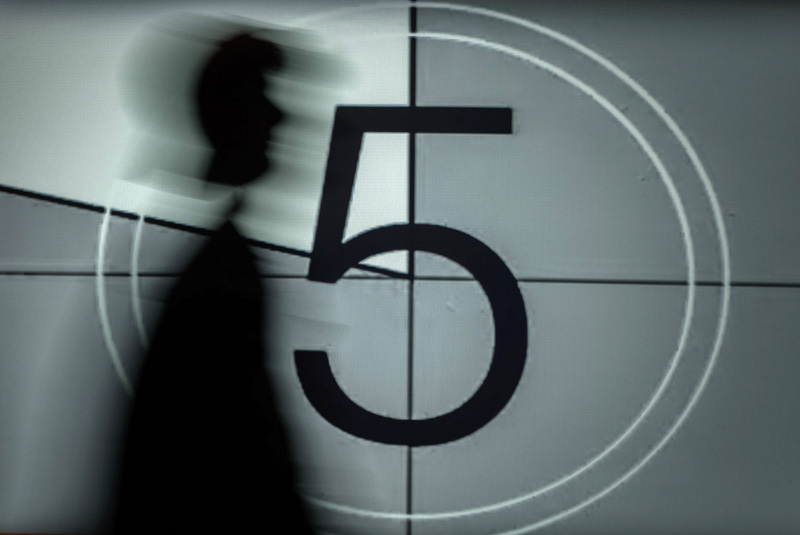 We look forward to welcoming you to Wyke Sixth Form College very soon. Join Wyke Sixth Form College on Thursday 11th October as we team up with The Royal Society of Medicine to bring you the popular Medical Careers Day 2018. The day offers students guidance from experts on why to choose a career in medicine and will cover a wide range of topics from the application process to the realities of medical life. The event is aimed at year 11/12 students, although younger students are encouraged to attend if they believe it would benefit them from hearing more information on choosing a career in medicine. Feedback from last year’s event was excellent, with many students saying that it helped them to decide whether they wanted to pursue a career in medicine. The day also helped many of our own students with a record number of them securing places on medicine, dentistry and veterinary medicine courses last year. We look forward to welcoming you to an exciting and educational day. A large contingent of Applied Science students will be visiting the British Science Festival next week as this prestigious event comes to Hull for the first time. 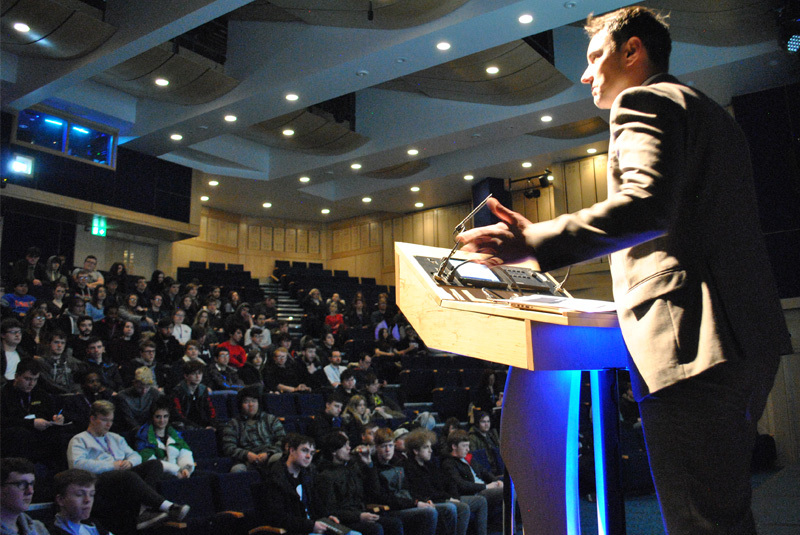 The students will be attending two lectures held at the Hull University campus. “Space Medicine” looks how space exploration affects the health of astronauts. The second talk, “The Weight of Expectation”, explores the health debates surrounding the obesity crisis. Both lectures are not only informative; they also directly link into the student’s assessment and qualification. One of the units on Applied Science, “How Scientists Communicate their Work”, is supported by the information available at the festival. The British Science Festival is the longest-standing science Festival in the UK. Organised by the British Science Association, it grew out of the tradition of the annual meetings of the Association – first held in York in 1831, and annually at cities across the UK. The four-day event is one of Europe’s longest-established science festivals, which each year travels to a new part of the UK, bringing a vast array of events, performances and exhibitions with a scientific twist. Working in partnership with the University of Hull and other organisations in the Humber region, the British Science Festival is a flagship event as part of Hull’s City of Culture legacy focusing on three key areas – energy and the environment; health and the medical sciences; and exploration, movement and discovery.